Making Monster Dreams Come True for 19 Years! Offering the LARGEST most VARIED monsters selection and HONEST, RELIABLE, EFFICIENT Customer Service. 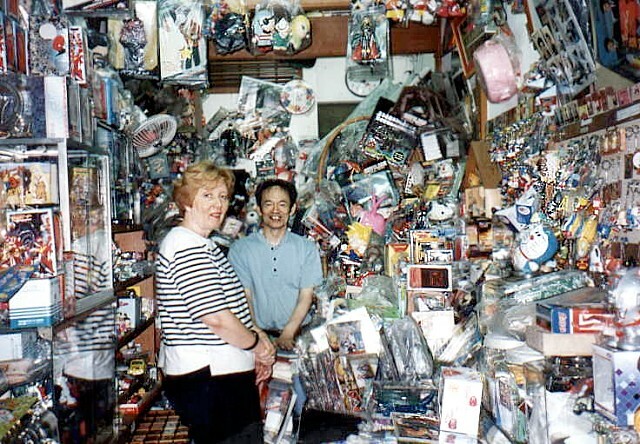 We are avid collectors who lived in Japan for many years and traveled the highways, trains, subways and back roads in search of the KING of the MONSTERS. Voted #1 Most Recommended Dealer by the Godzilla Collecting Community on the Club Tokyo Collector’s Year End Poll for Two Years in a row!! We love fiendish beasts and Godzilla has been a favorite since our childhood. We hope to share some of the fun of Japanese Daikaiju (Giant Monsters) with others especially the younger fans. We take pride in our product knowledge, ethical business practices and customer service. We began this adventure in 1996 while living in Japan; the home of Godzilla King of the Monsters. After six years in Japan, we returned to the United States with lots of Godzilla and other monster goodies. We have first hand knowledge of the Japanese market regarding Godzilla and related monster collectibles. We established solid relationships with Japanese Collectors and Sellers. On our site, along with great Japanese Kaiju Monsters items like Godzilla toys, Gamera toys, Gamera action figures, Mothra toys, Mothra action figures, Ultraman toys, and Ultraman action figures you will also find other Toys, Action Figures and Collectibles by Bandai, Collect Club, UHA, Yujin, M-1, Marmit, Space Vehicles, Ultraman, UFOs, Aliens, Cryptozoology, Medicom Mystery Museum, and Dinosaur Dinotales by Kaiyodo, Happinet, Colorata + GODZILLA ACTION FIGURES, ORIGINAL THEATRICAL POSTERS, and Much Much More! !